Dakota Ojibway Child and Family Services (DOCFS) was established to provide child and family services to the seven (7) First Nations in Southern Manitoba. The objectives of Dakota Ojibway Child & Family Services (DOCFS) are compatible to those of all Child and Family Service Agencies in the Province of Manitoba with an emphasis on First Nation values. Our services recognize traditional First Nation values and customs and is compatible to the needs of the community in which they reside. Our focus is to protect children and to strengthen the capacity of families and communities to resolve their own problems and prevent the circumstances that lead to the apprehension of children. Services are also available to membership anywhere within the Province of Manitoba, including offices in Brandon, Portage la Prairie and Winnipeg. 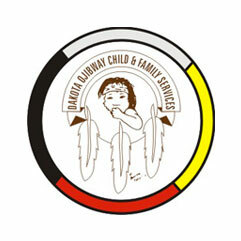 Dakota Ojibway Child & Family Services offers a wide range of programs and services to help promote healthy and happy families. Additional information on available programs can be accessed by visiting the DOCFS website. It is only when people experience a sense of freedom that they can learn responsibility; it is only when people participate in the decision-making that shapes their lives that alienation is discouraged; it is only when people are helped to see alternatives in their lives that change takes place; and it is only in an atmosphere of flexibility that any of this can happen.